With cold weather temps and constant rain (possibly snow and ice) during the winter months, sometimes outdoor play is impossible to do for very long, if at all, with little ones. Add up multiple days of only indoor play, and I've learned that can be a recipe for disaster to both our moods and my home. Today, I am sharing on Savvy Sassy Moms a super fun (and super easy) sanity saving activity that allows for hours of fun. This sensory snow is great for active little hands and minds that need constant stimulation, as well as provide mommy and daddy with a much needed break from the inevitable stir crazy atmosphere that is bound to happen when you are trapped within the four walls of your home. 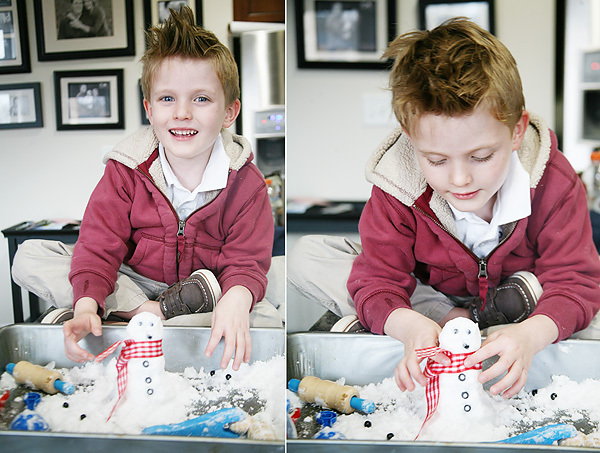 Check out the recipe for snow fun HERE.